The heart is the source of the strongest and most unbreakable power within us. Singers, poets, and enlightened people all over the world have been telling us about the power of love for thousands of years. Our minds tend to see this as a romantic illusion with little to do with reality, and yet we still have a powerful desire deep down inside us to become more connected to our heart energy. 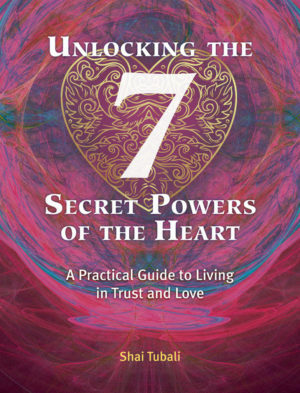 This book will unveil this hidden truth and help you to discover how you can awaken your dormant heart powers. Making the switch from mind-perception to heart-based perception is the first step on the road to exploring the 7 skills you hold inside you. Learn how to strengthen them with a few simple meditations and exercises that are easy enough to perform daily. The book’s beautiful illustrations help take you to a realm beyond words on a journey deep inside the very core of your being. When you decided to pick up this book you took the first step toward unlocking the most powerful part of your being. You may be surprised to learn that your mind probably had nothing to do with it and that you were listening to your heart. Discover more about its powers in this fascinating book.